Happy Eighth Birthday, Blogger ! Blogger.com celebrates its eighth birthday on August 23, 2007. Friend of mine mailed me that coming August 31, 2007 is the Blog day. First, I was confused it is an official day of blog ? 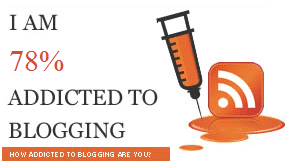 But later, I learned that it is a day, initiated by Nir ofir, that wants bloggers to have one day dedicated to getting to know other bloggers from other countries and areas of interest. On that day Bloggers will recommend other blogs to their blog visitors. 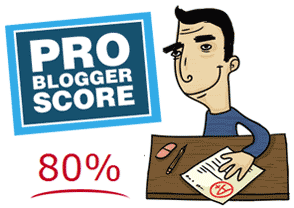 I just tested Mingle2’s how addicted to blogging are you ?, quiz test, and got 78%. huh. You wanna test ? Bloggers around the world who participate in Blog Action Day will post a single topic on October 15, 2007. The topic is “Environment“. Your post can be anything which is related to environment. For example, if you had a blog about programming and technology, you could write about applications used for the environment, how to make your office more sustainable, how to stop wasting paper, why technology will save the environment, or just write about an environmental issue which has nothing to do with programming! There are three things you can do to participate in Blog Action Day. Thoughts just come up in my mind in during these days that I’m having guts to write WordPress tutorials especially for bloggers who want to start blogging using WordPress.org in their own host. I’ve been spending most of my spare time in blogging in blogger (blogspot) for a year though I created account in December 2005. I’ve learned that some of blogs in blogsophere wrote up wordpress tutorials lately. But I want to have my own reference about the things which I’m using and of course I also want to focus on one topic I’m currently interested. And I also have a feeling that writing tutorials and tips/tricks are the best way to improve one’s curiosity to try out his current niche of interest and those makes easier to remember when forgot. Anyway, I’ll try to post as much as I can. 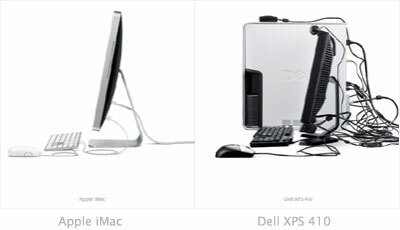 Recently Apple introduced their new Apple iMac in this month. It seems to be very cool without cluttered cable which Dell XPS 410 has. A normal HTML document that includes META tags which is inside in header tag elements. Meta tags elements are used to provide the information of your document. And also it is also used to provide the information for search engines like describing your document. In SEO world, keywords (is not sure) and description meta elements are probably effective tools to boost in search engine for your web pages. Kontera is an In-Text Advertising service lets you to monetize your content in real-time, enabling an incremental increase in ad revenue by providing a new source of untapped ad inventory that does not compete with the other ad programs running on the site. ContentLink™ also creates a valuable user experience by serving relevant and informational ads that match the user’s interest and frame of mind.